What makes a person inspiring? What exactly do we expect from such a person? Well, I suppose that the criteria of selection differ from one another, but by and large, we appreciate those people who do things differently, who dare to be real in spite of negative opinions, who work, learn, travel and share the results of their experiences. As far as the expectation part goes, I can only tell that these people should guide us, empower us and exalt our spirits ceaselessly. I realised that I admire successful people who are able to open up in a funny, interesting manner; who are in love with what they do, who create an invisible connection to your heart. I feel so close to these people, that I truly imagine a parallel world in which we would be BFFs. Of course, this is very likely to happen if the people you admire most are friends, teachers or members of your family. Almost three years ago I accidentally noticed a featured video on Youtube that was going to have a major influence on my future self. "Hotel room tour" with three happy girls, was exactly the type of video that could have caught my eye- and it certainly did. In this way, I immersed in the adventures of the beauty youtubers. 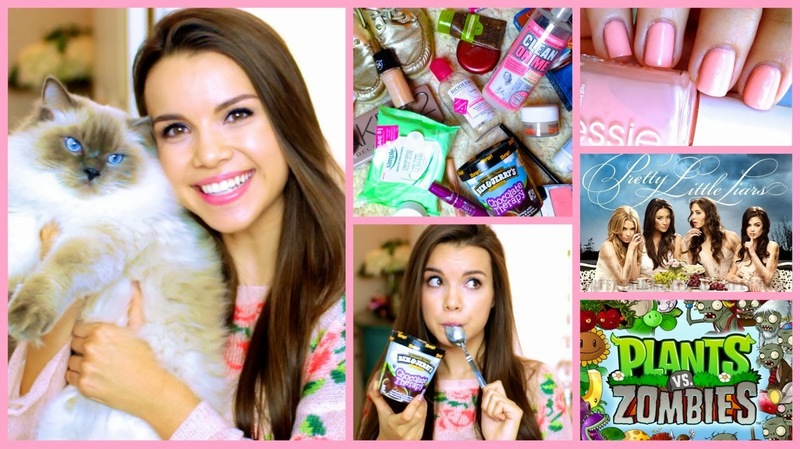 As you could have possibly guessed, one of them is Missglamorazzi (aka Ingrid Nilsen). I feel like I've known her for such a long time- and maybe this is exactly the type of feeling expected to appear between one and the person he/she appreciates. I can't tell if it's her bubbly personality, her beautiful videos, the Californian atmosphere or simply the strange time in my life when I "met" her, that made me so fascinated with this world. One thing is for sure: I am completely relaxed every time I watch a new "episode", and expect fluffy Nugget (her cute feline pet) to sneak in the video. Through her, I discovered many other young people preoccupied with such things, like Fleur de Force and Tanya Burr (the English versions of Ingrid). Later on, after getting used to the whole "beauty guru" concept (which to me doesn't sound that good, to be honest), I came across Michelle Phan. Different from the previous ones, who presented only everyday, wearable looks, Michelle brought more daring appearences, even though not always very practical. However, slowly but surely she grew on me. She is one of the most beautiful Asians, I have to admit, and has an interesting life story. Moreover, her videos go farther, mixing makeup related content with fashion and creative short stories. Her recently launched makeup line EM cosmetics is very likely to soon become popular. Going to the darker side of things, I couldn't miss Lana del Rey. She puts across fascinating ideas and creates the atmosphere of the 60s Americana. The references to different aspects of the pop culture and conspicuous influences from different fields (Elvis Presley, Frank Sinatra, Bob Dylan, Bruce Springsteen, Amy Winehouse, Britney Spears; Walt Whitman's poems) bring out a mysterious, psychedelic realm. And how could one ignore the cinematic sound, the fairy-dusting of harp and the lyrics which "sound like stories"? Her voice timbre is unique, captivating ang highly emotive, her whole presence being reminiscent of Marylin Monroe for some reason. Note: Her favorite movie is "American Beauty", one of MY favorites, do you believe in chance? 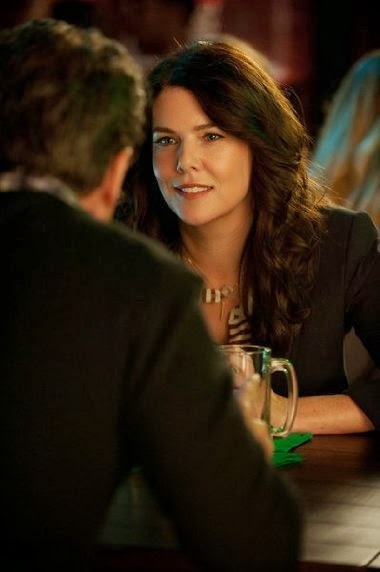 My short list wouldn't be complete without Lauren Graham! This woman is literally fantastic, almost perfect I could say. Bien sur, she won my heart due to Gilmore Girls, where she played Lorelai, the big blue eyed, very young mother of Rory- she was 16 to be more precise- (I have to come back to Gilmore with a special post) ... Her funny, smart and full-of-references lines were a delight, but I guess that these characteristics also match her real personality. It was due to her that I started watching "Parenthood", thus discovering that I have a liking for family movies, as they convey optimistic themes. Not to forget about her semi-biographical book, "Someday, someday, maybe" which I haven't read yet. Hi I love this post! Reading through it I could not believe that all the people you said inspired you inspire me too. I absolutely love Tanya Burr! I found her through her "vlogmas" videos two years ago and have watched her videos ever since.I also really admire Lana Del Ray and her music. But the thing that surprised me the most about your post is that it included Lauren Graham. I love Lauren Graham and Gilmore Girls is my favourite TV show. Last year (Christmas 2012) I got all the seasons of Gilmore Girls on DVD and I am still going through it very slowly because I do not want to finish it! In love with Ingrid! She's actually the reasons I started making a blog! Michelle Phan has also been a huge youtube inspiration! "Life is short. Talk fast." 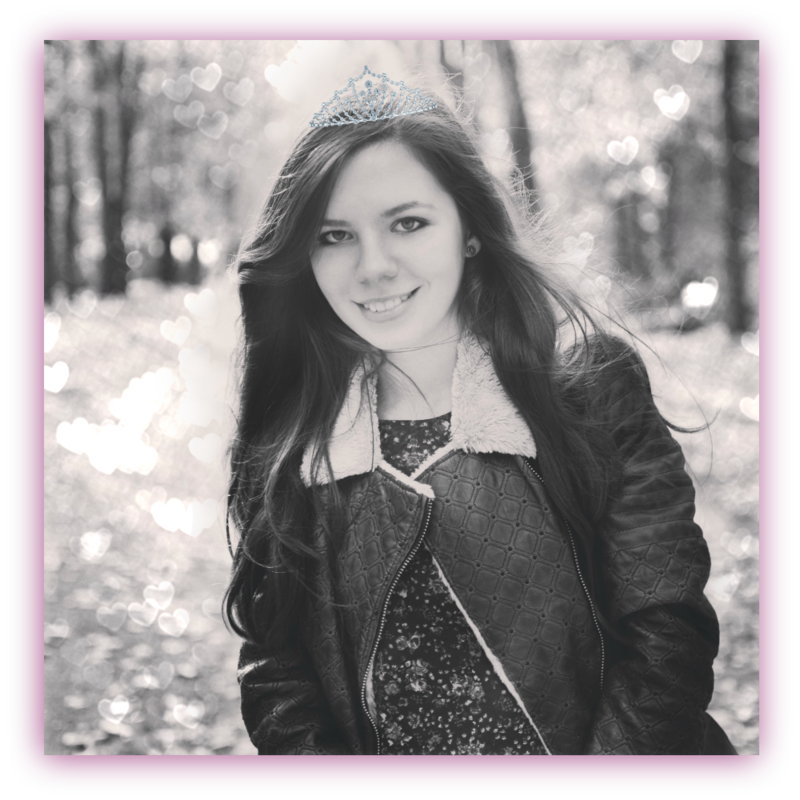 I am Bianca and I blog about Coffee beans, sprinkles of Beauty and starry-eyed Thoughts! Visit bianca 's profile on Pinterest.